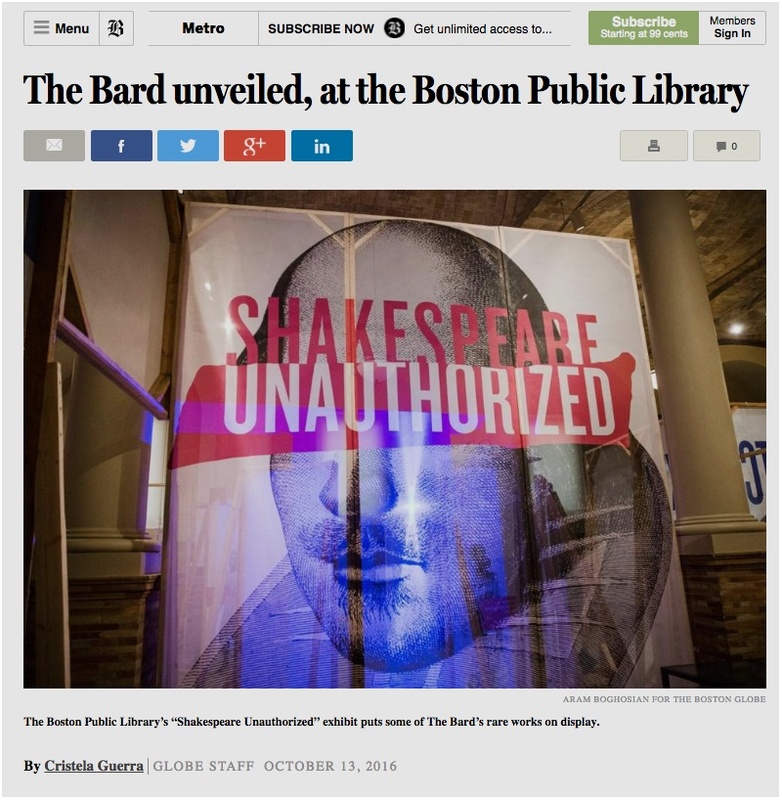 The Boston Globe previews Shakespeare Unauthorized at the Boston Public Library, opening to the public on Friday, October 14. "C&G Partners, which designed the installation at the McKim Exhibition Hall, took its cue for the exhibit from the classic line from “As You Like It”: “All the world’s a stage/And all the men and women merely players,” according to the article by Cristela Guerra. Read more on The Boston Globe.